For more information on this topic, our article titled "CRA Tax Audit" is available in our e-store and in our FAQ section. Tax evasion is illegal practice used by dishonest taxpayers try to reduce their tax liabilities by concealing income, inflating expenses, falsification of accounts, willful violation of law and refusal to comply with legislated reporting requirements. Such practices will result in penalties and at times criminal prosecution. Tax avoidance is minimizing tax by adjusting the affairs in such a manner that although it is within the parameters of laws, it is done with a purpose to defraud and exploitation of loopholes in the tax law. It is the act of dodging without directly breaking the law. For example if A gives gift to his wife, the income from the asset gifted will be attributed back in the hand of A. To avoid this clubbing provision, known as General Anti-Avoidance Rule (GAAR), A decides to give gift to B’s wife and B reciprocates it by giving gift to A’s wife. It contravenes the spirit of law and legislative intent. This is not tax planning but tax avoidance. Sharp practices and dubious methods are not acceptable to tax authorities and often results in disallowance and challenges. Tax planning is arrangement of financial activities to maximize tax benefits, as provided in the Income Tax Act. It is legitimate and consistent with legislative intent. Competent tax planning envisages use of allowed exemption, deductions, rebates and reliefs provided in the act. It is legal and will not result in any action from the tax authorities. consulting the Department of Finance on legislative changes related to abusive tax avoidance strategies that are being used, ie. closing the tax law loopholes. We will focus on CRA tax audit. A tax audit is an examination of taxpayers' books and records to determine taxes, interest and penalties payable under the law. It comprises of examination of tax return, to verify its accuracy and compliance of tax law and regulations. CRA conducts audit and review on different types of tax returns on tax related acts administrated by the agency. 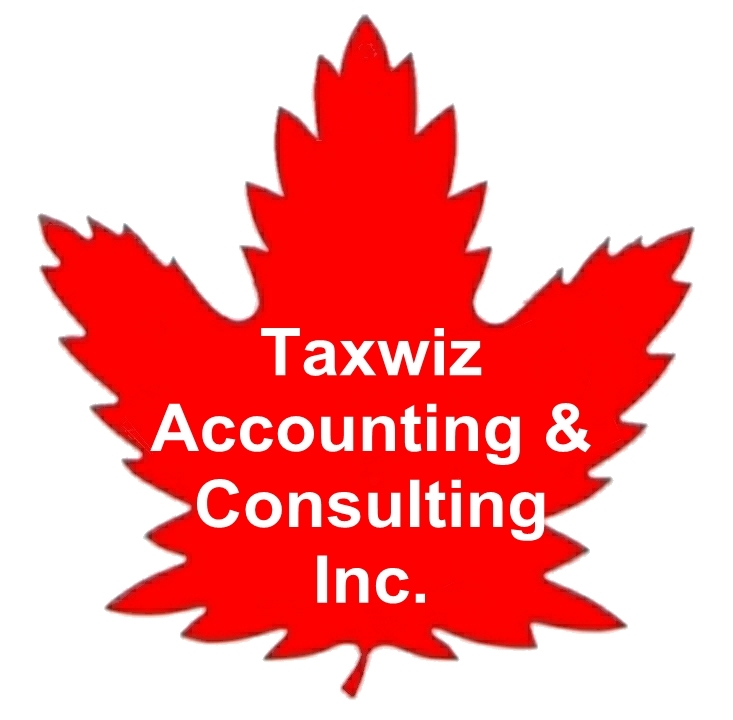 It may audit GST/HST tax returns, personal and corporate income tax returns, excise taxes, and payroll returns. Matching Program (the peak period is September to March): The CRA compares information on a taxpayer’s tax return to the information provided by third-party sources such as employers, banks and educational institutions. Items of particular interest to the CRA include verification of employment income, investment income, Guaranteed Income Supplement (GIS); Registered Retirement Savings Plan (RRSP) purchase and withdrawal, child-care expenses, tuition fee and education amount. Both audits and reviews can result in serious penalties if a tax auditor finds sufficient grounds to justify non-compliance or tax evasion. 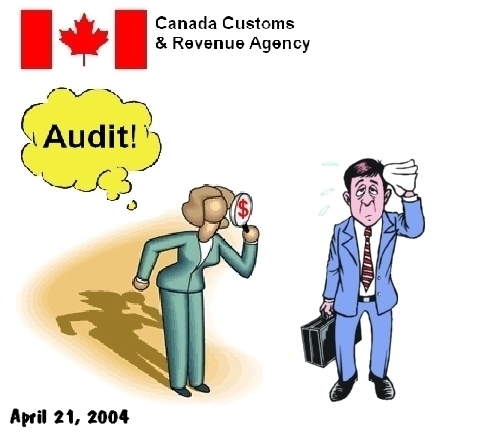 Why CRA Audits Tax Returns? In Canada, our tax system is based on self-assessment of income and expenses. To ensure that taxpayers file the true and accurate information, CRA reviews tax returns and routinely does tax audits. Without the threat of tax auditing, self-assessed tax filings may render the tax system ineffective. As repeatedly alleged by CRA, tax audits are performed to ensure that honest taxpayers are being taxed fairly. Another reason that CRA wants the public to believe is to educate taxpayers to learn the social responsibility and some technical know-how in filing income tax returns. On the other side of the fence, many, if not most, taxpayers believe that tax audit is just another means to squeeze more tax dollars from taxation. This belief is not totally groundless. 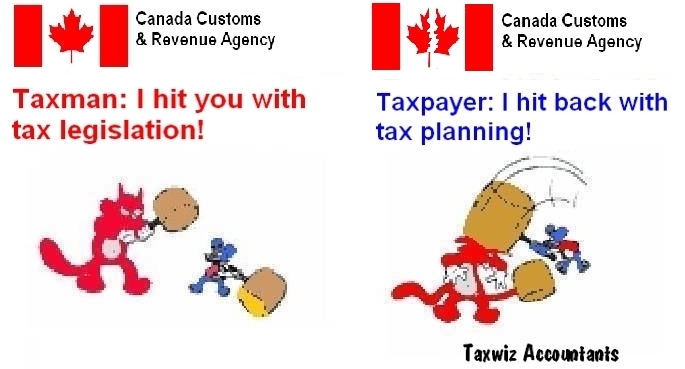 In April 2012, Canada’s Auditor-General, Michael Ferguson, reported that CRA spent $39 million of its $4.5-billion total 2010-11 budget to generate $2.8 billion in additional taxes and penalties. Beyond doubt, tax audit is a lucrative business. For income tax returns, there is a time limit of up to 3 full years after the date on your original notice of assessment for a tax return. Beyond this 3-year limit, a tax return is considered statute barred, namely, the taxpayer cannot apply for changes of information filed and the CRA cannot reassess the return. The time limit of auditing GST/HST returns are four years from the date the GST/HST returns are due to be filed. It is noteworthy to remark that statute barred years should not be confused with the retention of records. Section 230 of the Income Tax Act requires that you retain all books and records until six years after the date the return is filed. You would need those records if a statute barred year was opened up. If it has been established that a fraud or gross negligence (when a taxpayer has knowingly made or participated in, assented or acquiesced in the making of, a false statement or omission in a tax return) may have occurred, then there is no time limit for CRA to act. A waiver has been signed by taxpayers allowing the statute bar period to be extended indefinitely (often under the threat that CRA will reassess unless the waiver is signed). A loss carry back on previous years in a a tax return has been filed. The normal reassessment period for a taxation year will be extended from 3 to 6 years if the taxpayer claims the benefit of a loss carry-back from a subsequent taxation year. However the access is limited to the particular subject matter and not the rest of your tax return. Keep in mind, that some taxpayers may not want CRA looking at your past tax returns. This is a risk management issue. What May Trigger a Tax Audit? Taxpayers are categorized by groups based on certain attributes such as the nature of business, types and amounts of deduction or tax credit claimed, income levels. To maximize efficiency, CRA uses empirical data (based on past tax audits and other evaluations) to select groups with low tax compliance rating for audit. However, CRA also states that each taxpayer group should receive a minimal amount of tax audit investigations regardless of their tax compliance rating. Depending on the quantity of tax filings in each group and the amount of resources available, the CRA will then determine who will be audited in each taxpayer group. A taxpayer group may be chosen for the CRA's own testing purposes simply to obtain more information on a specific group. The CRA may have been given a lead on a specific individual or corporation from another file, tax audit or informer. The CRA may select a taxpayer that is associated with another taxpayer already being audited. donation to a gifting tax shelter. No matter how accurately and how on time you file your tax returns, there is always a chance that the Canada Revenue Agency (CRA) may audit your return. In practice, tax audits are impossible to avoid although there are measures taxpayers could take to minimize the chance of being audit. Our article titled "CRA Tax Audit" in our e-store will discuss more on these measures. Be honest and up front. No reasonable tax auditors would expect a lay taxpayer to fully understand our complex tax law and regulations. Honest mistakes are inevitable, although they may carry penalty and/or interest. If you do not understand issues raised by a tax auditor, ask for clarification and seek professional advice without delay. Most tax auditors are polite, reasonable and knowledgeable. Always treat CRA personnels with courtesy, stay calm and remain professional. Always remember that the CRA, especially their less experienced and lower level staff, can be wrong. When the CRA has told you something, either in writing or over the phone, and it is wrong and you acted based on the wrong information given, the agency can still come back later and tax you for the mistake or error. The CRA is not bound by what it says because most of the advice and opinions given by the CRA are not legal opinions. 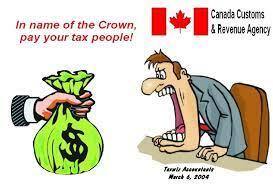 Tax Courts are not obliged to rule based on CRA's advice and opinions to taxpayers. Keep good documentation of your dealings with the CRA. Good documentation includes keeping all incoming and outgoing letters to and from CRA. After you speak to the CRA, record what had transpired, the time and date, with whom and the CRA badge number (CRA agents are obliged to provide their badge number) and contact information. You may wonder why it is important to document dealings with the CRA when the agency is not bound by anything they advise wrongly. Taxpayers may be able to get interest and penalty relief by showing the CRA they caused or contributed to the problem. This is at the discretion of the CRA. Generally, CRA is more forgiving if taxpayers can prove that the interest and penalty are caused by wrong or misleading information provided by their staff. If you suspect that you have been given wrong information or been mistreated, investigate and seek professional advice without delay. If your tax return is reassessed and CRA alleges that you owe tax, pay part or all of the amount CRA says you owe on or before the payment due date (after which more interest and penalty will be levied) and submit your written dispute before the deadline. Your payment will not be interpreted as your consent to CRA's position and will minimize interest and penalties in case you lose the dispute subsequently. Be mindful that resolving a tax dispute with the CRA may take years. If you win, money paid will be refunded. The only downside is the opportunity cost of the money paid in the interim. Some eligible deductions or tax credits have not been claimed and the taxpayer obtains a tax refund. CRA agrees with the return filed and no adjustment is needed. Some deductions and/or tax credits are disallowed due to reasons such as matters of fact, wrongful application of tax law, lack of source document support. Taxpayers are required to pay an assessed amount, usually with penalty and interests. Information suggesting tax fraud, tax evasion or other tax-related criminal charge is discovered and cases are referred to the Crown for criminal prosecution.